When winter is cold in your part of the world, it’s the perfect time for orienteering in Israel. Discover Israel’s mild winter climate, diverse landscapes, high-quality maps, and challenging orienteering venues. When winter is cold and snowy in your part of the world, Israel offers the perfect climate for orienteering. The landscape is green, flowers are in blossom, and it’s the prime season for orienteering activities. The Israel Sport Orienteering Association is pleased to announce the 2012 February Festival, an O-Tour itinerary that includes 15 training sessions and 2 days of competition at the annual Israel Open Championship. Israel is a small country with an amazing variety of terrain and vegetation. Orienteering and tourist destinations are all easily accessible within short driving distances. You will be fascinated by the geographic, historical and cultural diversity of Israel. Discover a warm and welcoming Israeli orienteering community. Let us know you’re coming, and we’ll connect you with the locals and help you get to orienteering venues and events. For inquiries and registration, contact Ziv at ISOA. The Maccabiah Sports Committee has agreed to include the sport of orienteering at the Maccabiah Games in 2013, provided the ISOA submits a list of 50 Jewish (non-Israeli) orienteering athletes by July 31, 2011. The Maccabiah Sports Committee has conditionally agreed to include orienteering — for the first time ever — at the 2013 Maccabiah Games in Israel. Final approval requires the ISOA to submit a list of 50 Jewish (non-Israeli) orienteering athletes by July 31, 2011. The Maccabiah is an international Jewish athletic event, held every four years in Israel. At the 18th Maccabiah Games in 2009, over 9000 Jewish athletes from 51 countries competed in 31 sports events. Please spread this message in the orienteering community. Results from Day 1 of competition at the Israel Open Championship – Beit Jamal have been posted on the ISOA website. Results of the 2011 Negev Desert Championship have been posted on the ISO website. Results are in an Excel file. The file has 4 tabs: Total shows the championship winners, based on the combined results from Park Golda and Nitzana. Separate meet results are presented in the Nitzana, Shivta and Golda tabs. The event organizers apologize for the delay in publishing results. Start times for the Israel Open Championship have been posted. The start times for the Israel Open Championship have been posted. Note that the time closest to your name is the start time for Competition Day 1 (Friday). The time farther from your name is the start time for Competiton Day 2 (Saturday). 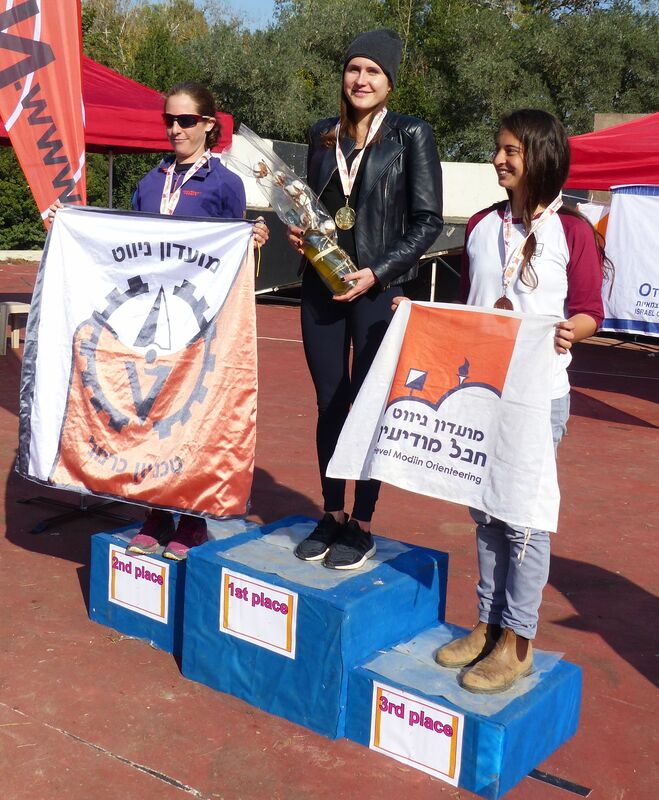 Final preparations are in progress for the Israel Sport Orienteering Association’s annual Israel Open Championship on the weekend of February 25-26. This two-day competition in February attracts hundreds of competitors from Israel and abroad. Together with the Negev Desert Championship on the preceding weekend, the ISOA offers a week full of great orienteering. See details in the lastest bulletin (PDF): February O Festival 2011 – Bulletin 2. This bulletin contains important information about the events, including registration instructions, schedules, driving maps to venues, and valuable course setters’ notes for each of the two days of the Israel Championship.